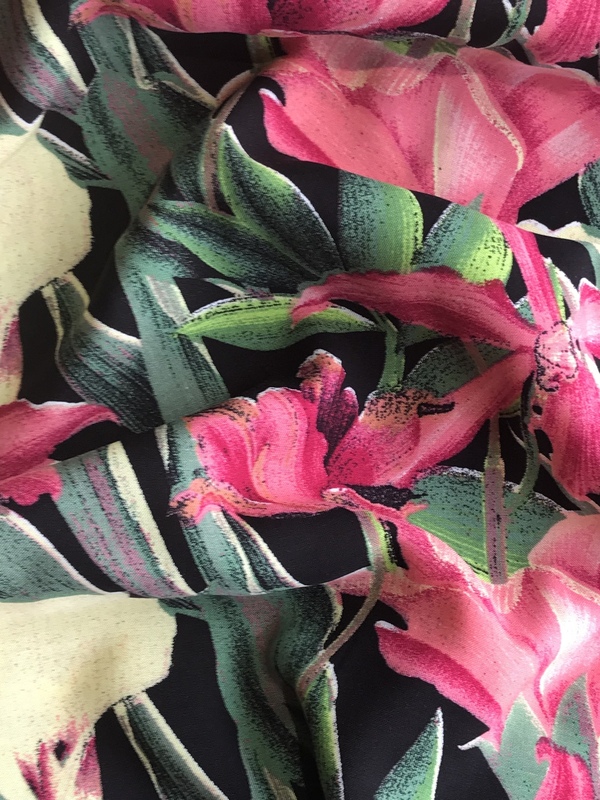 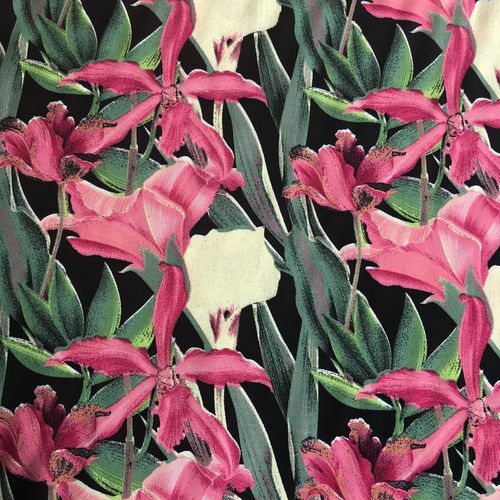 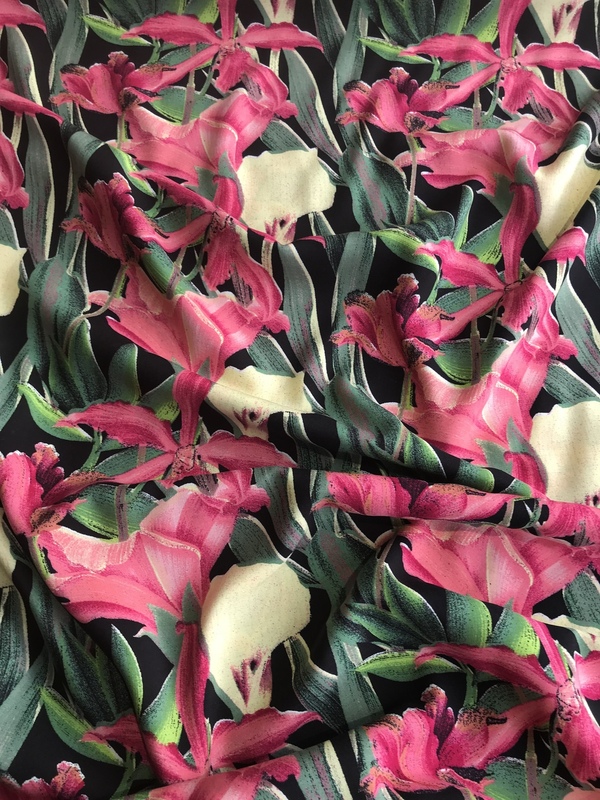 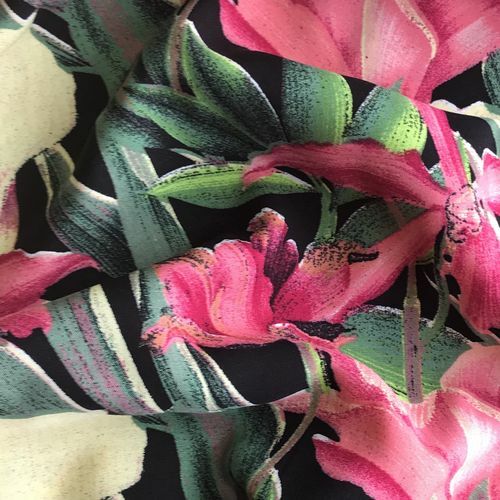 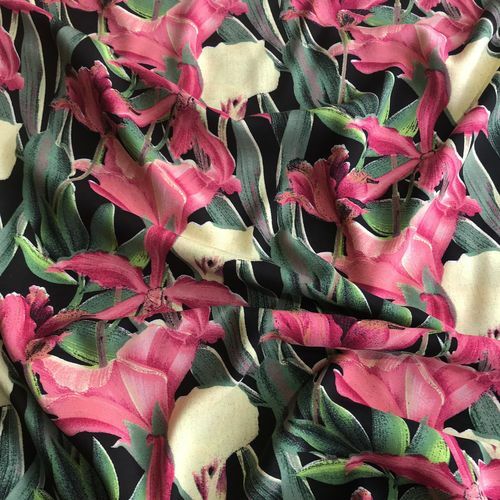 Introducing Flirty Flowers Woven Viscose! 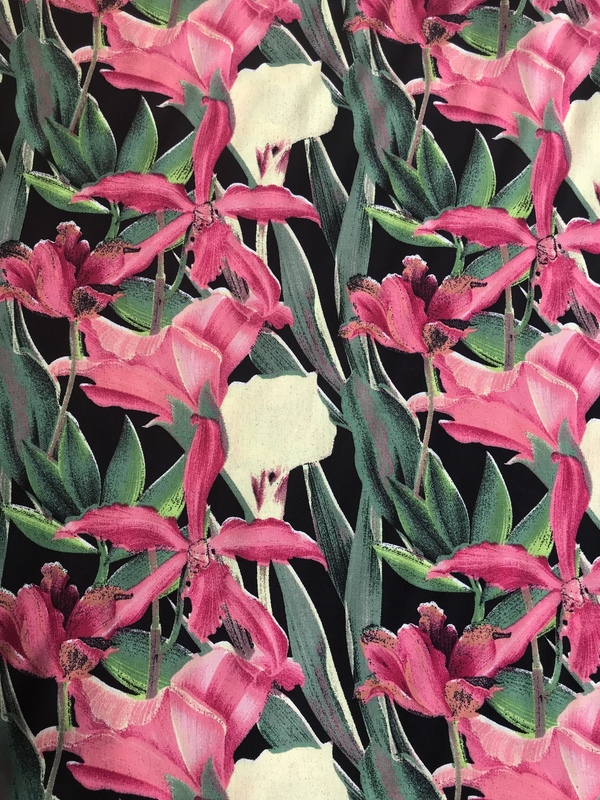 Pink and Cream Flowers on a Black Background. 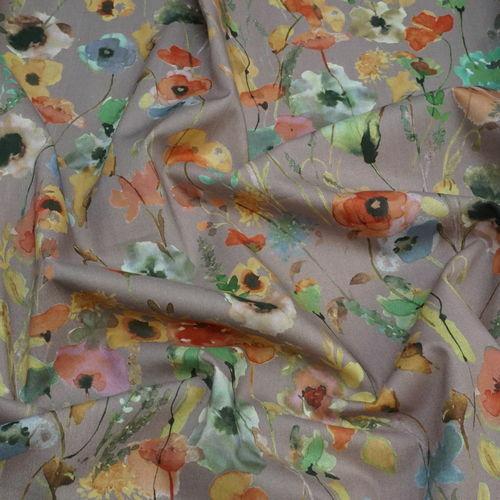 This Viscose is soft and drapey and has a really romantic feel to it. 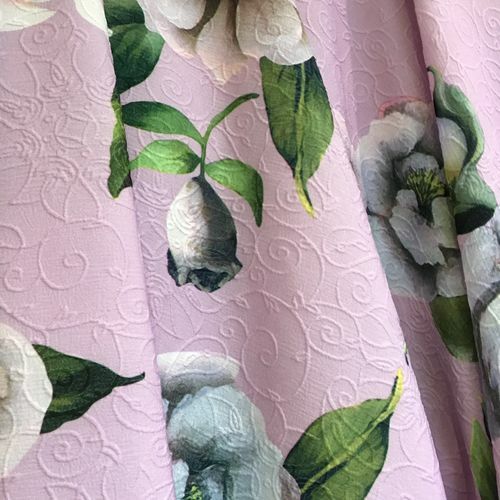 It is such a beautiful fabric I fell in love with it as soon as I saw it!